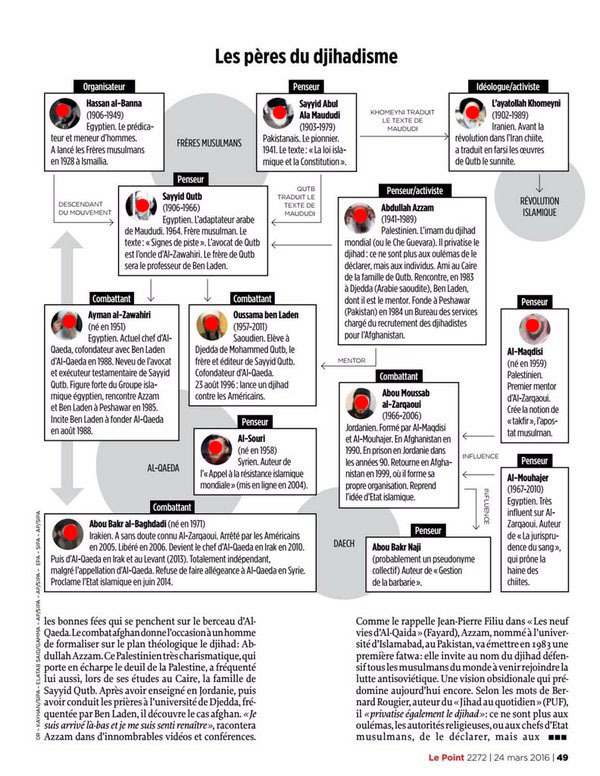 In its 24th March 2016 publication, Le Point presented the diagram below summarising the key figures behind the [Takfiri]-Jihadist movement of the 20th century. This is a surprisingly accurate presentation and the author(s) are commended for their veracity and accuracy in identifying the right individuals - however they wrongly ascribe these individuals to Salafism. 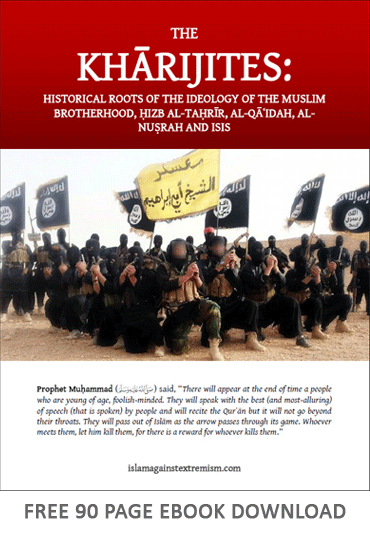 The ideology of these people is that of the Kharijites.